Most companies put a lot of effort into making sure that customers have a great experience. You approve the brand images, tweak store, write the emails, all with the goal of leaving customers pleased. But when it comes to shipping, it makes you feel like you’re giving your brand over to anoutsider.With some thought and planning, though, it doesn’t have to feel that way—which is a good thing, for the reason that shipping is a major part of your business. Shipping is the last process of completing an order in which the ordered goods are shipped to the address given by the customer. Some companies charge small fees for company while others provide this service free of charge. An organization can either ship the goods through its employees or contact a shipping company for the task. There are many software applications that can make shipping easy. 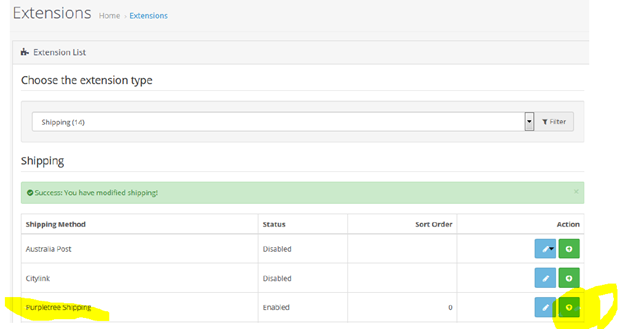 Here is the description of one such software called PurpleTreewhose shipping module makes opencart multi-vendor shipping as a matter of seconds. Software offers to manage shipping in two ways i.e. In this type of shipping, the charges will be applied on the basis of per product in an order. It means that if an order contains three products, then the charge will be multiplied by three. In this type of shipping, the charges will be based on the basis of per order. It means that if a person has ordered three products, then the charge will be made for a single order. There are three types of shipping charges available in the software to help organizations to manage advance vendor shipping. Here the shipping charge will be applied to cart according to defined shipping type. Here the shipping charges are based on each seller product. If the charge is not defined, then the customer will not be able to check out from the PurpleTree Shipping method. Therefore, the customer should check all the shipping rates defined for each product before entering the module. Here if a customer wants to checkout from non-seller product, then shipping charge will be looked from the shipping rates which if not found then flat shipping rate will be charged. Take the following steps to install the module. Again,go to Extensions and select Shipping from the dropdown. Click the Edit button and enable shipping. Flatrate shipping and flexible shipping charges will be used for non-seller products. Take the following steps to define shipping rates. Go to PurpleTree Multivendor and then to Shipping Rates. Here admin can check the shipping rates for an order. Now click Add New and select Seller Name from the dropdown. 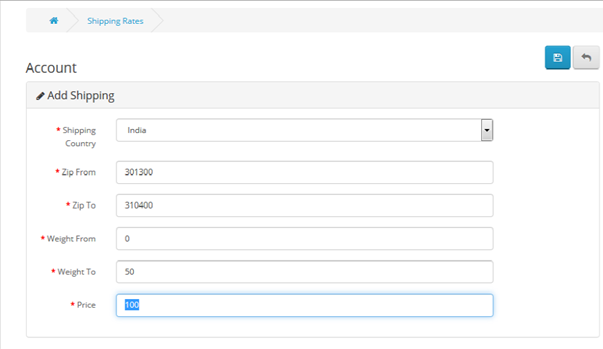 Note that if N/A is selected then the shipping rates will be applied to admin products. Admin has the right to assign the shipping rate to any seller. Enter price which will be the shipping rate. Enter Weight from and Weight To range. Note that Weight To must be greater than Weight From and both of them can be set to zero. In order to go to global settings of shipping, admin can go to Manage Shipping Options.No editing option is available for shipping rates; they can either be added or deleted. Go to Shipping Rates where the seller can see the shipping rates to be applied to an order. Enter Zip From and Zip To Range. Purpletree Software LLP has a team of ecommerce developers who develop user-friendly software applications for their customers. The vision of the organization is to become expert in opencartmulti vendor and opencartmutli seller marketplace extension and developing quality software applications for their customers. The team of the company has diverse background and this helps to develop a software very easily. More details of Purpletree Opencart Multivendor marketplace can be found here.